Why should government listen to young people? 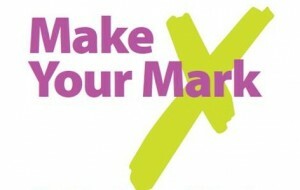 Make Your Mark, run by The British Youth Council in partnership with the Cabinet Office, is a scheme to get young people's points of view heard. Everyone aged 11-18 has the chance to vote for the issue that matters most to them, which will then be debated by the UK Youth Parliament during their November sitting in the House of Commons. If you have children or know other 11-18 year olds, help get their voices heard by encouraging them to vote at www.mi-voice.com/mym. But why is it important to listen to our young people? The Cabinet Office Youth Policy team wants to get young people’s voices heard across government, and here are the reasons why. Some would say we shouldn't listen to the views of young people because they cannot have formed grown up opinions. We disagree. The voice of young people matters precisely because they are young. Lots of policies and services affect them already, and if they don’t yet they soon will. Open policy making is about putting the user of a service at the centre of its design, to make sure it addresses their needs. The Civil Service Reform Plan points out the shortcomings of a Whitehall ‘monopoly’ on policy making, and the value of involving citizens in the process. Young people should be an important part of this, to make sure policies and services are fit for those who will use them. You can learn more about open policy making and what it can achieve here. The youngest members of the electorate are far less likely to register to vote than older citizens. Without their inclusion the mandate of any elected government is weakened. Initiatives like Make Your Mark are a great way to invigorate debate and encourage young people to become politically active citizens of the future. There is a variety of ways to involve young people in policy making, from simple consultation to full co-design. In most cases it’s worth working with a partner organisation. Many youth charities will be happy to help you for free, since lots of them have a youth voice arm themselves. The majority of youth today feel isolated in the fact that their voices are not heard. This is encompassed by a number of issues. The first and most important is the retirement age. Because the age has been raised there is less chance for young people to enter the live job market and thus contributing more to society by their enthusiasm, their new ideas, and the tax which they pay. At present a lot face years of unemployment with only schemes with no permanent work at the end of these. The closing of community facilities which was literally the life blood of keeping young people off the streets and out of trouble is abhorant. It is no wonder that a lot of young people do not vote when they look at aging politicians who only pay lip service to their everyday life and their employment prospects.